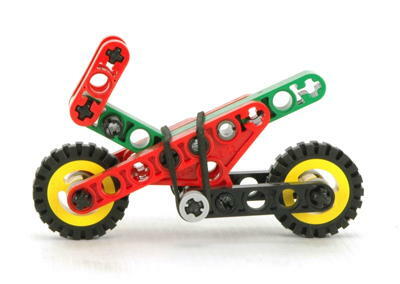 Along with its very similar brother 2544, the 2544 Technic Motorbike is among the very tiniest Technic sets ever made. 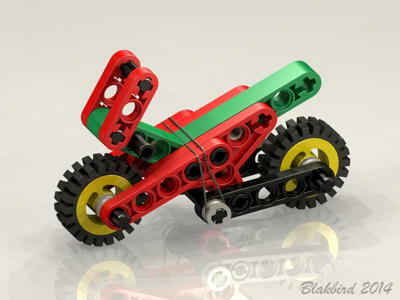 Although more colorful, this little model has even fewer features than the other microbike. On the other hand, it does have a sweet fairing. 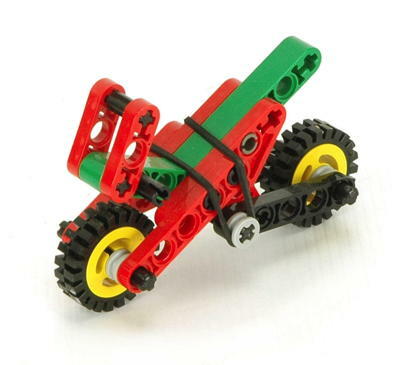 The trailing arm rear suspension is supported by a single rubber band. Click for an animation of the suspension in motion.